When looking to buy new shoes, nothing beats going into a store, getting advice from the experts, and finding the perfect style and fit by trying on a couple of pairs. That said, the convenience of buying online has its own advantages, and so it’s good to see that a couple of Northampton’s finest have launched their own online shoe outlet stores to complement their physical factory shops. The Barker Shoes factory shop in Earls Barton has always been one of the biggest and well stocked outlets in Northamptonshire, with great bargains available combined with a really friendly and knowledgeable sales team. 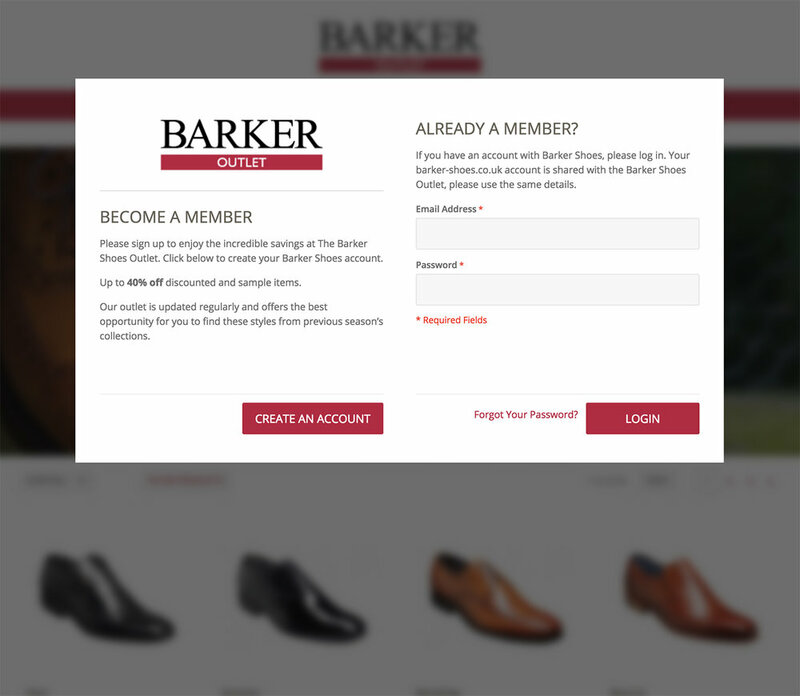 The launch of the new Barker Outlet website has provided shoe lovers with a new channel to find and purchase an amazing bargain, with past season discontinued shoes and samples available at discounted prices of up to 40%. The user experience on the website is solid and as you would expect from any good online shop, although it is a members only offering, and so sign up is mandatory. In terms of stock availability, it is always changing and so it is worth keeping your eyes open for the regular newsletter you’ll receive once you sign up. As with Barker Shoes, the Tricker’s factory shop in the heart of Northampton has been a mainstay for years, and always well worth a visit. It’s a much smaller physical space than Barker Shoes factory shop, but the sales team are just as helpful and, as you’d expect, they really know their stuff when it comes to matching you up with the right style and fitting. For Tricker’s, the online outlet store is an opportunity to showcase the full range of discounted products available to the public, and complements their recently opened Gloucester Quays Outlet store. This is also a members only website, and so you’ll need to sign up first. Again, the user experience on the site hits all of the standards you’d want from an online store, and we particularly like that any defects that have resulted in the shoes being discounted are clearly highlighted (as shown in the image below). Discounts on Tricker’s outlet shoes are highlighted as up to 40% off the usual retail price. If you’re looking to find an amazing deal on quality English shoes then these online outlets are quick, easy and convenient, and the end products are absolutely worth every penny. They’re great for overseas customers, and for those that know the fit and style that they’re looking for. However, in our opinion, the best experience is always in the physical stores where you can touch and feel the quality, get a true sense and feel of the fit, and crucially, get advice from experts with years of experience.